We make this dog lead by rolling fine black leather over a nylon rope, making it extremely comfortable and soft, yet strong and durable dog leash. 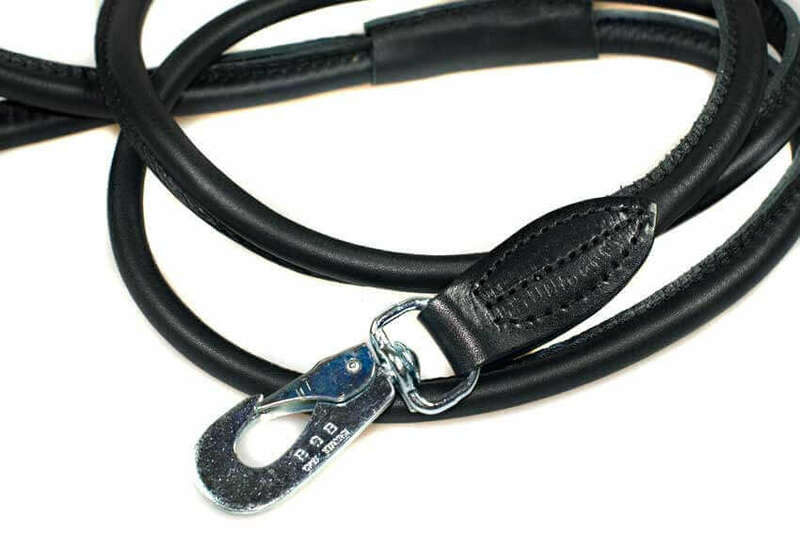 Rolled dog lead comes complete with our special extra safe Scandinavian chrome coloured trigger hook. This type of triggers are use by climbers and husky teams and are easy to operate with one hand in extreme weather conditions. 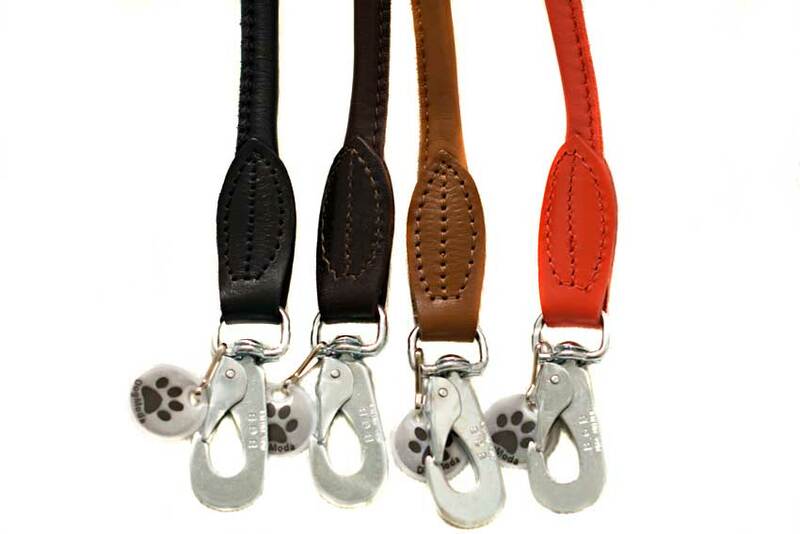 Most importantly, these trigger hooks will not open by accident, which means that your dog will not slip its lead by chance. 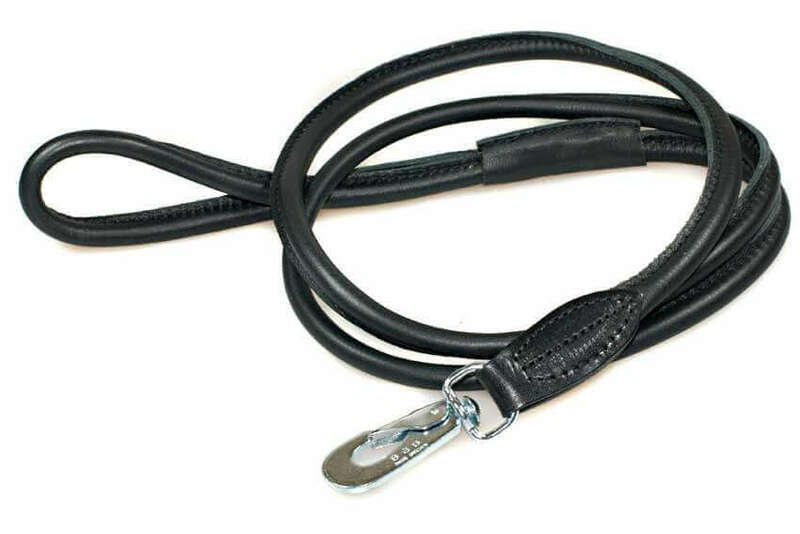 Top quality black rolled leather dog lead at a great price. This black rolled leather dog lead measures 8mm in diameter and is 1.5 meter / 5 ft long. Rolled leads are available in a number of colours and designs. 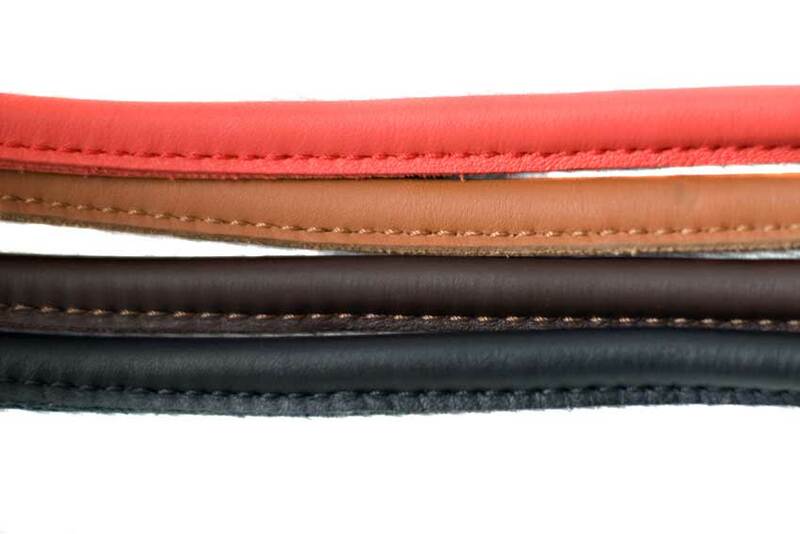 Currently leads come in black, brown, tan, white, orange, pink and red leather. In addition, there are slip versions of these dog leashes available. Purchased these rolled leather leads for my daughter's two Salukis. Get good reports on these dog leads. They are particularly nice and soft with good clasps and good length. Nothing but the best leads suits these hounds!